The Fiat x1/9 was a mid engined sports car designed by Bertone and was just one of their famous line of wedge shaped car designs. Fiat in the late 1960s were searching for a convertible sports car to fit into their new 128 range. Nuncio Bertone, filled with confidence after the launch of the Lamborghini Miura, suggested a rear engined format. Fiat were not convinced, feeling the design would be too heavy and expensive to build and essentially be a poor mans Miura or Lancia Stratos. Determined to have his way, Bertone launched the futuristic and Autobianchi badged Runabout concept car in 1969. The design caused quite a stir and was enough to convince Fiat boss Gianni Agnelli to give project x1/9 the go ahead. The new Fiat x1/9 launched in 1972 and featured the Fiat single cam 1290 cc engine which produced 75BHP and was mated to a four speed transmission. One of its unique features was a removable hard top which was stowed in the front boot. It transformed the cars look, turning it into a targa convertible. And thanks to the mid engine layout, occupants still had access to a compact yet practical boot behind the engine compartment. In 1978 Fiat upgraded the engine to a 1498cc 85BHP unit and added a five speed transmission. This would prove to be the x1/9s only engine upgrade. By 1982 Fiat, who were never fully convinced by the mid-engine format, lost interest in the development of the x1/9. Full production handed over to Bertone. Since Bertone were building the cars this was more or less a formality. However it marked the end of the cars technical development. 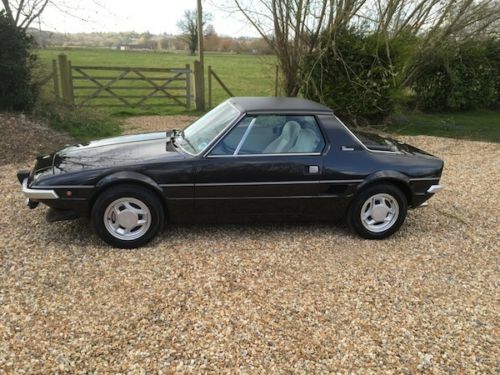 Now badged as the Bertone x1/9, upgrades to the car were limited to different paint schemes, alloys and interior trim. The move ultimately signaled the gradual decline of the x1/9, with Bertone finally ending production in 1989 with the runout Bertone x1/9 Gran Finale. Despite the Fiat x1/9 never really fitting in comfortably into the Fiat model family, over 160,000 were built over its seventeen year production run. 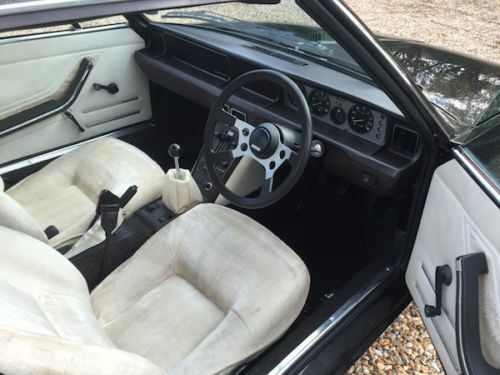 Offered for sale is a rare 1978 Fiat x1/9 Lido which has covered just 31,000 miles and comes with its original handbook and service books. 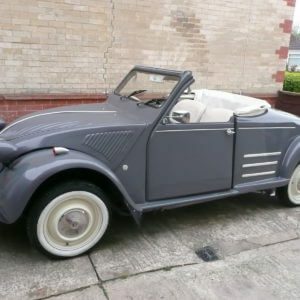 Said to have been stored for fifteen years, it is described as having had a full restoration. The listing states that all components were stripped, rust removed from the bodywork and new metal put in. It was then subjected to a full respray. 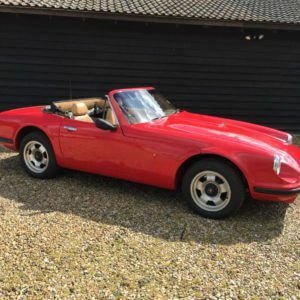 Mechanically the engine and gearbox were stripped and refurbished with a new stainless steel exhaust and manifold added. Along with the long list of items replaced or renewed, the brake system received a new brake servo and calipers and the suspension was removed and shot blasted. The Lido restoration was finished off with refurbished alloys and replacement badges and stickers. The seller notes that all parts supplied were new and OEM specification. The x1/9 is a very agile and compact 2 seat sports car. The bumpers are so much nicer than the larger ones added to later models. It has a great side profile and is one of the best looking wedges designed by Bertone. Same applies to the rear bumpers. Much neater. The white suede interior isn't practical but it works well with the car. Originally intended for the Swiss market, the Fiat x1/9 Lido (also called the Serie Speciale) was launched in 1977. It acquired the Lido name after the famous night club in Paris, which was used to launch the updated car. It was the only model in the cars 17 year production run to feature slender chrome bumper. These delicate bumpers helped to enhance the lines of the Bertone styled wedge, making it a sought after model. Other enhancements were black metallic paint, a silver side stripe, tinted glass and white imitation suede trim. 700 Lido’s were offered to the UK market making it a rare model. As a result it is a highly sought after model in the x1/9 community. Though the photos are not high resolution, this particular example looks to be in excellent condition. The list of work carried out is extensive and should give the new owner peace of mind. Saying that we would still recommend a thorough examination of this x1/9 due to their reputation for rust, just to be on the safe side. We are not sure if the bumpers have been chromed or sprayed silver. And as there are no photos provided of the engine bay, we’d want to inspect that as well. 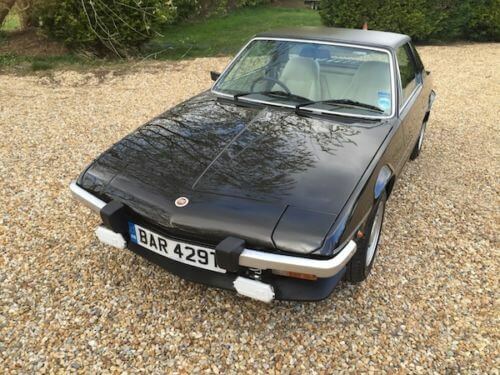 Fiat x1/9s are a rare sight on UK roads and even rarer still is the Fiat x1/9 Lido. This sale presents the opportunity to own a rare low mileage Lido that has clearly had a lot of money spent on it. Although its 1290 cc engine lacks the power of the larger 1498cc engine available in later models, they are still amazingly fun cars to drive with absolutely superb handling. It is one of the all time great true drivers cars and have been overlooked for a long time. 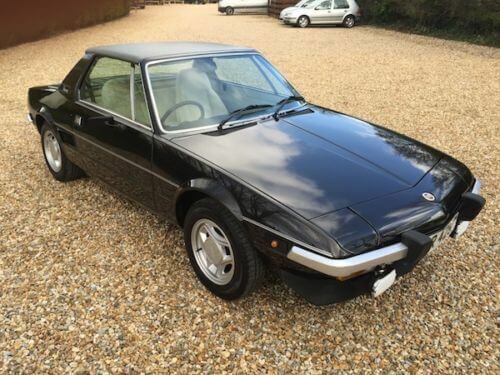 Given the current bidding on this one, we expect it to become the most expensive Fiat x1/9 sold in the UK to date. We think the X1/9s time has come and this Lido would make for a smart addition to any collection. We would if we could. 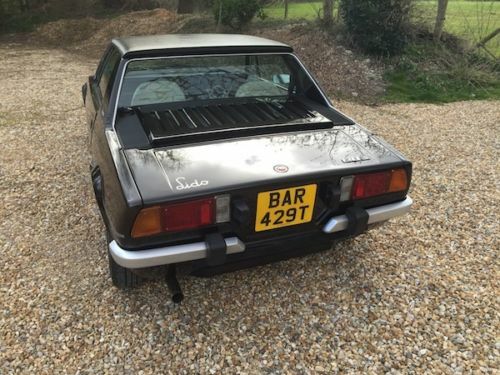 This Fiat x1/9 Lido is located in Romsey, Hampshire and the current bid is £11,427 with the reserve not met.